At T&H Realty Services, we are extremely proud of the best-in-class screening service we employ. In fact, our system has shaved our eviction rate down to less than 1% of Tenants we place. When you employ us to lease your home, we take that very seriously and want to ensure you are getting the most benefit possible out of our Leasing fee. On top of incredible screening services, second to none marketing initiatives and cutting edge technology, we offer not one, but two Leasing Guarantees. If we fail to lease your home within 120 days of placing it on the market, you can terminate your contract without penalty. 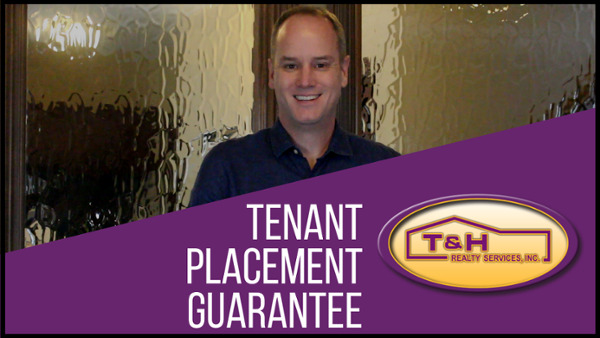 We generally lease homes in less than 30 days, so we're confident in offering this guarantee. If, for whatever reason, we have to evict a Tenant that we place during the first six months of that Tenant’s lease, we will lease your home for free the next time. We are more than confident in our ability to find the right Tenant for your home but, life happens and evictions are sometimes necessary. For those unforeseen and unfortunate situations, you can rest assured that we have your best interest at heart.